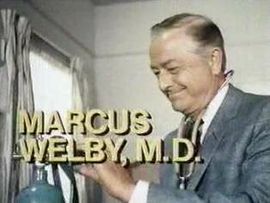 I feel blessed to have grown up and become a nurse in the era of TV programs like Marcus Welby, MD, Ben Casey, and Medical Center. I couldn’t wait to be part of such a noble profession and I proudly recited the “Florence Nightingale Pledge,” the nursing equivalent of the Hippocratic Oath, at my graduation from a Catholic nursing school in 1969. Forty-three years later, I still subscribe to those simple but powerful principles but the healthcare world around me has changed dramatically. On the plus side, I have witnessed the great advances in treating illnesses, pain, etc. However, on the minus side, I have witnessed an increasing rejection of traditional ethics that has turned the world I knew upside-down in so many ways. In 1969, I could never have imagined that the crime of abortion would be declared a constitutional right or that euthanasia in the guise of “physician assisted suicide” would become legal in any state. And could any of us ever have imagined a time when a US president would try to force even Catholic healthcare institutions into violating their conscience rights? In 1965, the American College of Obstetricians and Gynecologists (ACOG) redefined conception from the union of sperm and egg to “the implantation of a fertilized ovum,”2 allowing hormones — like those in the Pill — that can interfere with implantation to be classified as contraceptive rather than potentially abortifacient. Eventually, this opened the door not only to widespread acceptance of artificial contraception but also later developments such as abortifacient “morning after” pills, embryonic stem cell research, and in vitro fertilization (IVF). 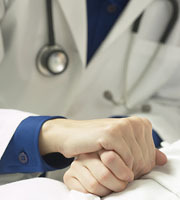 In 2008, Washington became the next state to legalize assisted suicide and in 2009, Montana’s state Supreme Court declared that it was not against public policy for a doctor to assist the suicide of a competent terminally ill person. Relentless efforts to legalize assisted suicide in other states have failed so far, but many euthanasia proponents support terminal sedation as a stopgap alternative to assisted suicide for the present.11 Ominously, just last year assisted suicide activist and terminal sedation advocate Dr. Timothy Quill was named president-elect of the American Academy of Hospice and Palliative Medicine (AAHPM). In just the last few months, popular health expert Dr. Mehmet Oz voiced his support for physician-assisted suicide on his TV show and Dr. Phil McGraw hosted a segment on his widely seen TV show featuring a Canadian woman who wanted her adult disabled children to die by lethal injection. Ironically, the mother, along with former Kevorkian lawyer Geoffrey Feiger, argued that removing their feeding tubes was an “inhumane” way to end the lives of the adult children. Tragically, when the studio audience was polled, 90% were in favor of lethal injections for the disabled adults. After 43 years, I don’t miss the starched nursing uniforms and glass IV bottles of my youth but I certainly do miss the idealism and ethical unity that I shared with my colleagues during that time. This did not happen overnight but rather by small and ever deepening steps. The result has not been a more compassionate and just society but rather a culture with a false sense of power and entitlement. We have been seduced into believing not only that we deserve control over having or not having children but also the degree of perfection of those chosen children. We think we deserve a life in which the seriously ill or disabled don’t financially or emotionally burden us. We think we deserve to decide when our own lives are not worth living, and have a right to be painlessly dispatched by a medical person. And we desperately but ultimately futilely want to believe that our actions and attitudes will not have terrible consequences. 1 American Nurses Association. Online at: nursingworld.org/ FunctionalMenuCategories/AboutANA/WhereWeComeFrom/FlorenceNightingalePledge.aspx. 2 American College of Obstetricians and Gynecologists Terminology Bulletin. Terms Used in Reference to the Fetus. No. 1. Philadelphia: Davis, September, 1965. 3 “Jury awards nearly $3 million to Portland-area couple in ‘wrongful birth’ lawsuit against Legacy Health” by Aimee Green. The Oregonian. oregonlive.com/portland/index.ssf/2012/03/jury_rules_in_portland- area_co.html. 4 “Killing babies no different from abortion, experts say” by Stephen Adams. The Telegraph. February 29, 2012. telegraph.co.uk/health/ healthnews/9113394/Killing-babies-no-different-from-abortion-experts-say.html. 5 “A Definition of Irreversible Coma — Report of the Ad Hoc Committee of the Harvard Medical School to Examine the Definition of Brain Death, The Journal of The American Medical Association. August 1968. Excerpt jama.ama-assn.org/content/205/6/337.extract. 6 “Death and the Organ Donor” by Nancy Valko, RN. Voices, Eastertide 2009. wf-f.org/09-01-Valko.html. 7 “The dead donor rule: can it withstand critical scrutiny? By Miller FG, Truog RD, Brock DW. Journal of Medicine and Philosophy, 2010 Jun; 35(3):299-312. Epub 2010 May 3. Abstract: ncbi.nlm.nih.gov/pubmed/20439355. 8 “Initial Experience with Transplantation of Lungs Recovered from Donors after Euthanasia”. Applied Cardiopulmonary Pathophysiology 15: 38-48, 2011. applied-cardiopulmonary-pathophysiology.com/fileadmin/downloads/acp-2011-1_20110329/05_vanraemdonck.pdf. 9 “Giving Life after Death Row” by Christian Longo. March 5, 2011. New York Times: nytimes.com/2011/03/06/opinion/06longo.html. 10 “Legalized Physician-Assisted Suicide in Oregon — The Second Year” by Amy D. Sullivan, PhD, MPH, Katrina Hedberg, MD, MPH, and David W. Fleming, MD. The New England Journal of Medicine, 2000; 342:598-604 February 24, 2000. nejm.org/doi/full/10.1056/NEJM200002243420822. 11 Timothy E. Quill, MD and Ira R. Byock, MD for the ACP-ASIM End-of-Life Care Consensus Panel, “Responding to Intractable Terminal Suffering: The Role of Terminal Sedation and Voluntary Refusal of Food and Fluids”, Annals of Internal Medicine. 2000; 132:408-414. Abstract: annals.org/content/132/5/408.abstract. 12 “An Unconscionable Conscience Rule”, St. Louis Post-Dispatch editorial, December 24, 2008: stltoday.com/news/opinion/columns/the-platform/an-unconscionable-conscience-rule/article_8c777b41-d4f4-539c-bd82-2760fd738037.html.